Cilician kingdom is Armenian feudal principality, and earlier a kingdom, which existed in Cilicia from 1080 to 1375, and flat Cilicia – to 1515. The process of formation of the new state was not an easy one – Byzantium jealously followed and opposed to it as much as it could. The origin of Cilician kingdom is referred to 1080, it was founded by Rubenyan dynasty. This coincided with the era of the first crusade (1096-1099), the path of the crusaders lay through Cilicia, Armenians welcomed western Christians as fellow believers, rendered them assistance, joined the ranks of the army of the crusade themselves. Thus, from the very beginning a relationship was established with Western Europe, so characteristic of the entire history of the kingdom of Cilicia. Rubenids permanently kept in touch with the European dynasties, marriages among dynasties brought them into the circle of European sovereigns and ,however, forced to interfere in family feuds, but made the rulers of Cilicia well known in the West. Finally, in 1198, Levon II (the Great) was crowned to reign. During his reign Cilicia reached its fullest flower. Babylon became the capital of the state, it stood on a tributary of the river Pyramus. Sources of XII century report that the city had “enormous population”, “wonderful churches”, “ a palace with gardens”, “archives, saint relics” and the like. Ayas and Tarsus were the harbors of Cilicia, sea trade was carried out with foreign merchants who had their factories and colonies in Cilicia. Nature itself seemed to have taken care of the safety of Cilicia. All these advantages, however, did not save Cilicia from the defeat the whole of Minor Asia was subjected to in the XIII-XIV centuries from egyptian mamelukes. Cilician kingdom fell in 1375, but its existence was far from being fruitless. For over three centuries Armenians had an opportunity to develop their culture, science, literature and art in an independent state. Cilicia was closely related to Western-European world, becoming the “vanguard of Europe in Asia”. 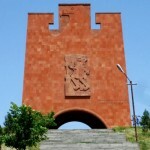 Through Cilicia, due to its intense spiritual activity, many cultural monuments of medieval Armenia have been preserved since today, lovingly and carefully stored in a tradition of native antiquity. A large number of manuscripts, through which we now get acquainted with the ancient Armenian script, was rewritten in the centre of Cilicia, in its cities and monasteries. 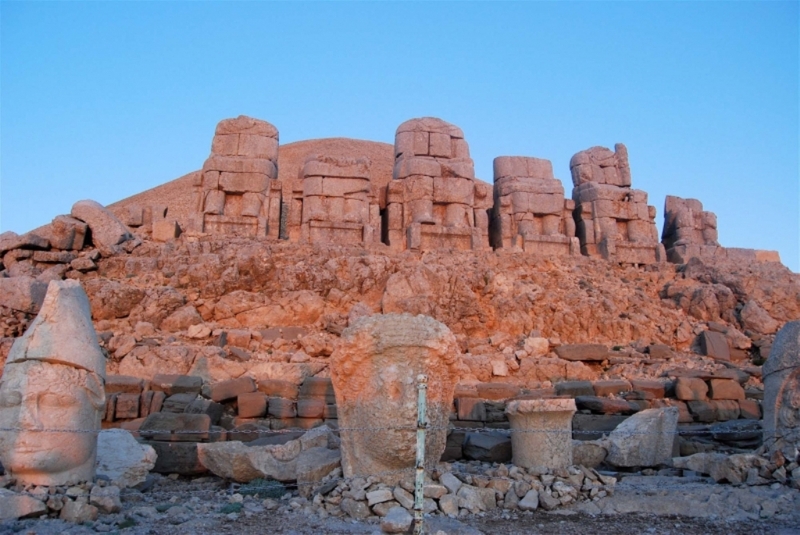 Cilician kingdom in the history of Armenians – a bright and original page. A glimmer of independent life was reborn in the northern part of historic Armenia in the XII century. 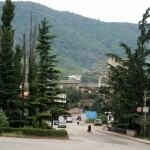 By 1122 Christian Georgia get so firmly established that its King David IV ( The builder) managed to conquer Tiflis as well as Ani from Muslims in 1124. During the reign of Queen Tamara Northern Armenia was liberated from the foreigners, a vast principality of Zakarids was created, which was headed by prominent military leaders and statesmen Zakare and Ivan Zakarians as well as other representatives of this noble family. In this era (XII-XIV century) Ani remained the centre of Armenian culture in the north. Dependence on Georgia was of nominal character. 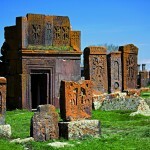 A skillful line of magnificent buildings in Ani emerged during this period. New churches were built, the city wall was renewed, towers were erected, a beautiful one-arched bridge was built, the Academy was founded near the town. The city was of the greatest size in the XIII century – according to a historian, the city had more than one hundred thousand inhabitants and more than ten thousand houses. A heavy blow to the prosperity of Ani and hopes for the rest of lands of ancient Armenia was delivered by the Mongol invasion, the one that led to the Tatar yoke in Russia. In 1236 a horde of Mongols laid down their city, took it by storm and delivered a shocking defeat, from which the city could never be recovered. But life in Ani and in several other parts of Armenia smoldered for nearly a hundred years, until the XIV century when a new wave of invaders under the leadership of Tamerlane (Timur) swept over the whole Asia. That period was one of the darkest ones in the history of Armenia. Levon VI de Lusignan (1342 – 29 November 1393) – was the last king of Cilician Armenia from the Armenian branch of the French noble family of Lusignan. He reigned from 1374 to 1375. Leo VI was the son of John de Lusignan. Levon VI was involved in battles with Mamluks forces, that were a powerful military caste in various Muslim societies, particularly in Egypt. After the king has surrendered and the Mameluks took Leo to Cairo in August 1377, he met with Jean Dardel, a Franciscan who was on his way for a pilgrimage to Jerusalem. Leon offered Jean to become his secretary. In 1382 Dradel was able to win the case of Leon VI, and King John I of Castile paid a ransom of precious stones, silks, and birds of prey. Levon VI went to Spain, where the Castilian King Juan I had stunned with the Spaniards gesture, which is unique in it’s type in the history: in 1383 he gave Levon VI, three cities, who formed the heart of Castile – Madrid, Andújar and Villa Real. The gift specified the conditions that Levon VI will own the cities during his whole life, after which they will be returned to the Castilian crown. After the mysterious death of Juan I, Regent of his minor son, Henry III revoked the privileges of the data Levon VI. Engage in an open campaign against the nobility and the clergy, Levon VI, necessitated the approval of their rights and privileges. On October 19, 1389 Levon VI waives all privileges and went to France and received the Saint-Ouen castle and a sizable pension from King Charles VI of France. Leon VI never recovered his throne, and died in Paris on November 29, 1393. His remains were laid to rest in the Couvent des Célestins, near Place de la Bastille in Paris, the second most important burial site for royalty after Saint-Denis.